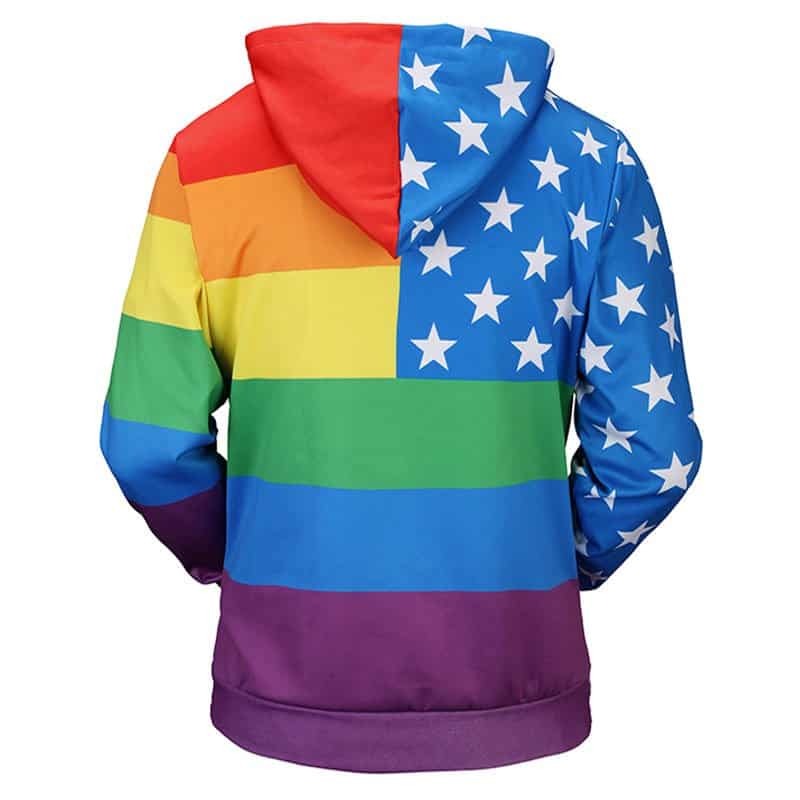 A cool concept that merges the colors associated with Gay Pride and similar movements with the stars of the American Flag. 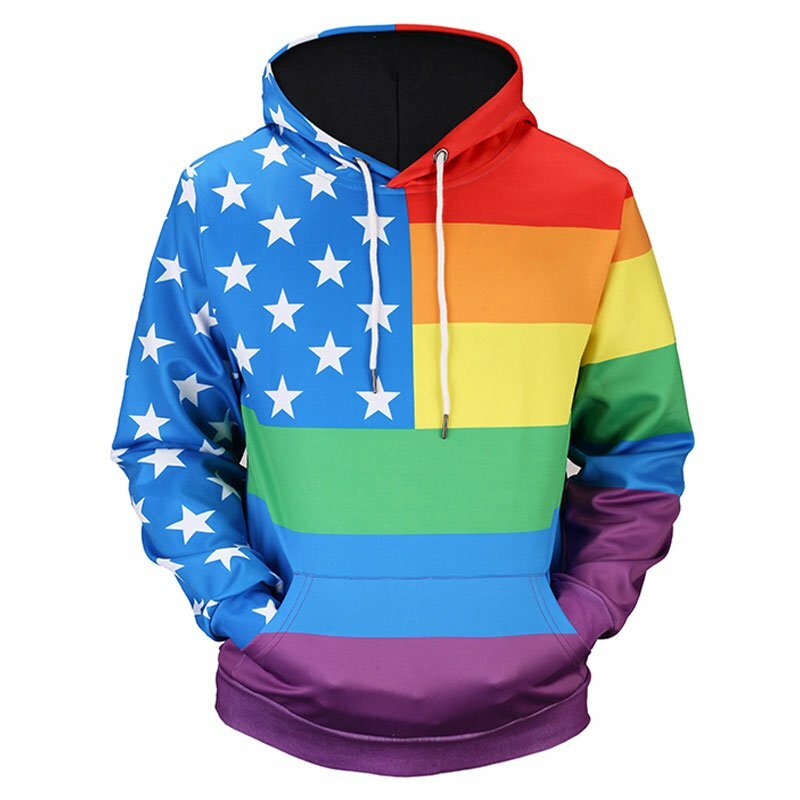 The Gay Pride Hoodie is a great hoodie to show your support to this community, especially if living in the states. The hoodie is comfortable to wear, looks fashionable and is wearable anywhere. It was designed for both male and female. Tag your photos with lgbt on Instagram.